Cranachan is a Scottish dessert served in summer and Gillian used this flavour combination in one of the tiers of the wedding cake she made in Scotland. Traditionally, it is made with crowdie (a crofters’ cottage cheese) mixed with cream, so if you want to use some cottage cheese, quark or a marscapone in your dish, please do so. 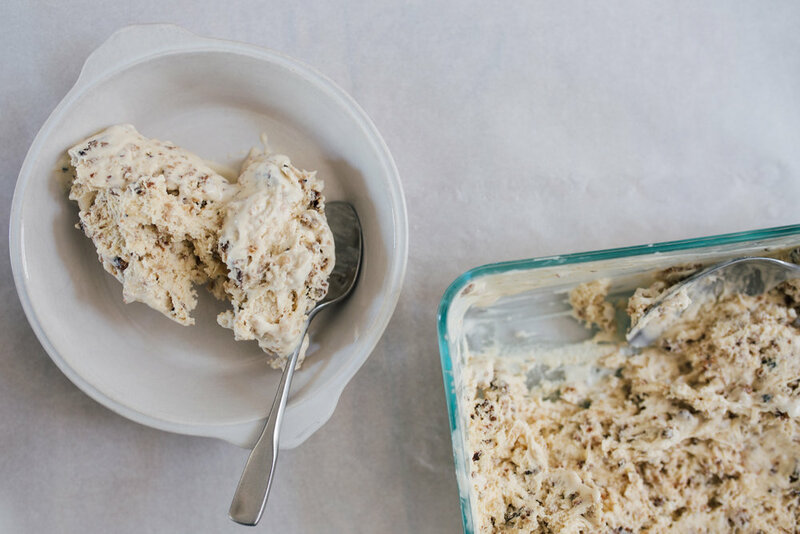 Cranachan is usually served in individual glasses or bowls, but you could make one large bowl. 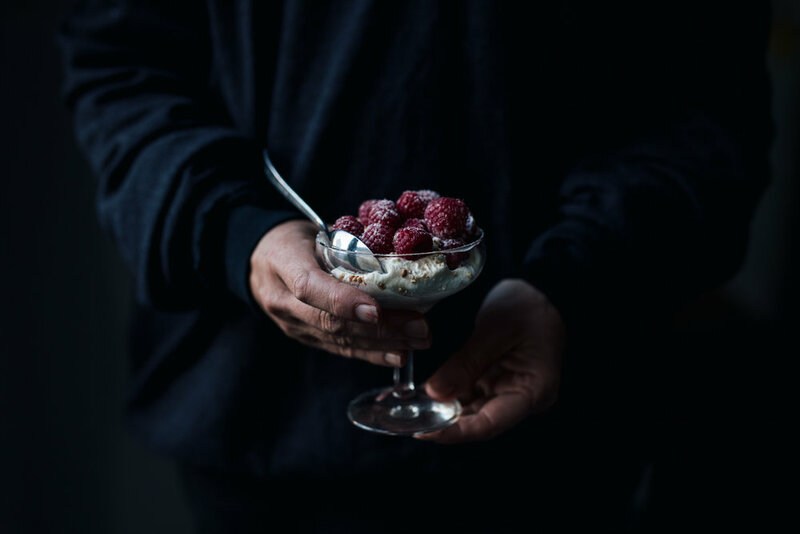 The key is the quality of the ingredients, so keep it up your sleeve for when the raspberries where you live are at their very best. The quantity of ingredients you’ll require depends on how many people you wish to serve and the size of your serving bowls. [TIP: Gillian used the Talisker which is distilled on the Isle of Skye. Aim for about 1 tablespoon per serve. Leave it out if you are serving to guests who do not take alcohol, and children. 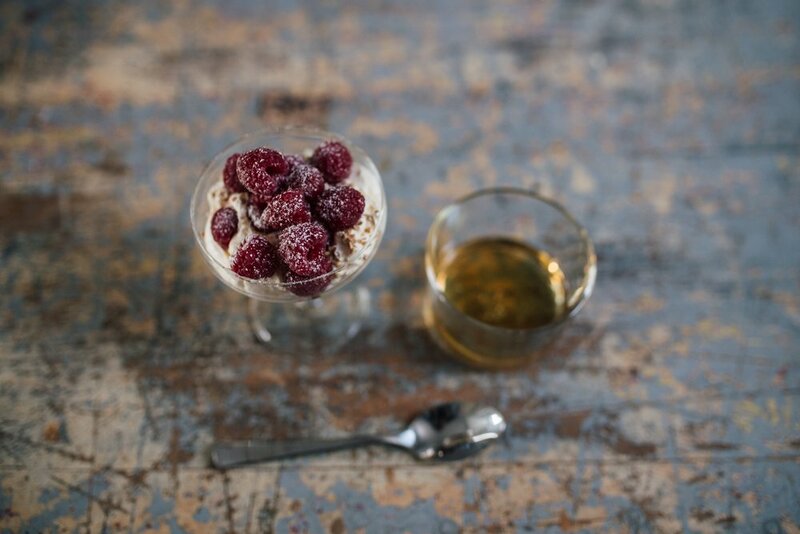 Serve the whiskey in a small aperitif or sherry glass for each adult so they can pour it over their own cranachan. Warm some of the honey to drizzle over the oats before toasting them under the grill. Watch them - they’ll burn very quickly! Add some warm honey to the whisky and stir to combine before adding it to the cream. Fold it through. How much honey you use depends on your own taste. Gently fold through ¾ of the fresh raspberries so as not to break them up, and ¾ of the toasted oatmeal. Dollop into individual serving glasses. Top with the remaining fresh raspberries and sprinkle with honey toasted oats. Add a splash more whisky if you wish. Ice-Cream became popular in Britain during the middle of the 18th century - one result of the ice-houses that were then being built in the grounds of large country estates. The ice-houses were deep, brick-lined pits, roofed with brick and stonework domes. If the winter was cold enough, ice was made locally - taken from frozen lakes or man-made pools - but if not, ice was brought by road from the Lake District or from the Fens in wagons insulated with straw. The first ice-cream was a fruit-flavoured cream, poured into a tin and kept in a bucket of ice. (no machine then!) The following recipe was developed about 1770, (imagine - as James Cook was plying the seas…) and remained a firm favourite throughout the Victorian and Edwardian periods. The Victorians sprinkled it with crushed crystallised violets. Spread the breadcrumbs on a baking tray and put under a medium grill until crisp and lightly browned. Stir them about frequently and watch them carefully while they toast, to make sure that they do not become too brown. Whip the double and single cream with the sugar, until the mixture holds a soft peak. Beat the egg yolks with the rum and stir into the cream. Fold in the breadcrumbs and pour the mixture into an ice tray or plastic container. Cover and freeze for 1 hour. Whisk the egg whites until stiff. 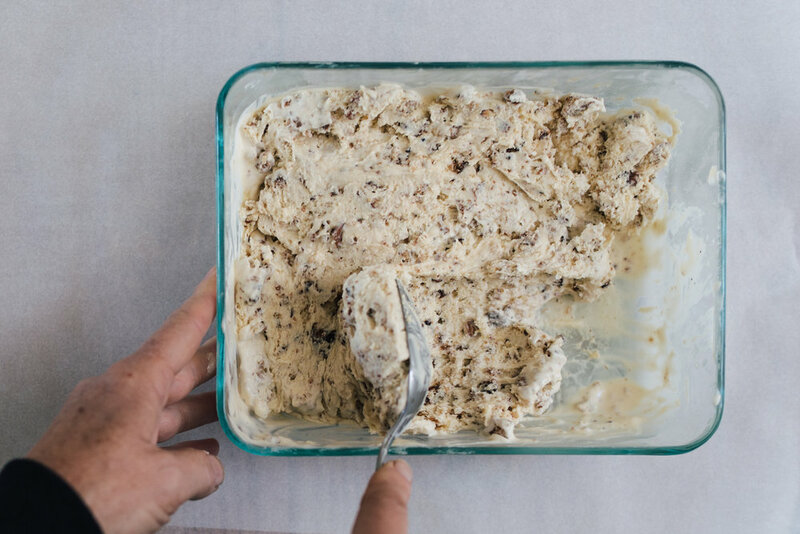 Scrape the half-frozen ice-cream into a chilled bowl and stir well until of an even texture. Fold in the egg whites, return to the container, cover and freeze for at least 2 hours. Transfer from the freezer to a refrigerator shelf half an hour before serving. Serve with apricot or chocolate sauce.